Can you help us to increase donations and fund raising at our school? As part of our strategic planning process (formalised in our 2018 School Charter), we set some pretty ambitious goals for our school and students for the coming years. In order to support our plans it is critical that we increase the amount of donations and fundraising to help us achieve our objectives. The Ministry of Education pays for the basics of running a school and we receive funding via an Operational grant every year which is based on a number of factors including, but not limited to, the number of students enrolled and attending. This Operational grant does not, however, cover any extras and we believe there are always so many projects /ways that we could benefit our students through a bit of extra funding. Whilst schools are not able to make fees compulsory (because every student in NZ (who is not a foreign, fee-paying student) is entitled to free enrolment and free education in any state school), schools can ask for donations to cover general costs. Schools can also charge for any ‘take home’ components of courses such as art works, and can charge for extra curricular activities. At our school we try to make the whole donation process as easy as possible for our families. Each year we send out ‘invoices’ asking for donations. Suggested amounts are generally around $100 per year for one child, $150 per year for two, and $180 per year for three or more. These are only suggested amounts and we gratefully accept ANY donation or koha from whanau and community. Some families are able to give more generously than the suggestion and we really do appreciate all contributions from all whanau. Money that is donated attracts taxation rebates and we provide receipts for koha so that whanau can claim these just as they would for other donations to charitable organisations. How is the money received from donations spent? We are often asked how these donations are used and the answer is “in many ways” including, supporting learning opportunities outside of the curriculum (for instance the upkeep of the recreational camping area on the peninsular), subsidising travel and supporting the use of two vans for student trips, ensuring that students that are impoverished are supported, for extra staffing for health provision, and a raft of other endeavours that are not easily managed within the schools operational grants from the Ministry of Education. For the moment almost all of the donations received go towards the two school vans and their running at subsidised costs. The school has no entitlement to vans or buses though this is in most part paid for by the users. Both of these were initially received via charities, the white van from Variety and the blue from Grassroots. When they are to be disposed of the white van has to be sold back to Variety at the nominal fee of $1. No donations are used to supplement operational grants partly as there is relatively so little and, secondly, in principal education is free and the government needs to be kept accountable to that. What if families can’t afford to pay the donation? It is my view that whanau and community do ‘give to the school’ in other ways too. We acknowledge and appreciate other koha including time, energy, and specialist support, including gardening, support for learners, work in the library, creating and managing resources and a myriad of other examples. Please do get in contact with us if you would like to assist in some way. We are also in the midst of setting up a Raglan Area School PTA of which the key objective will be to (but not limited to) raise funds for the school. 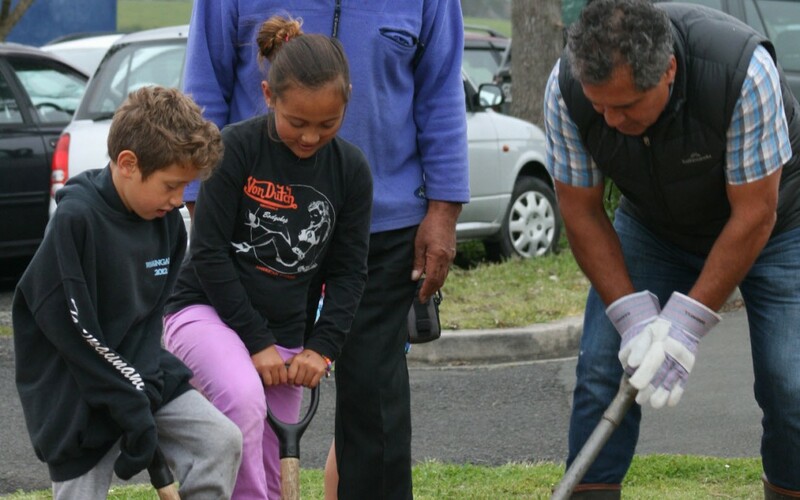 We know that there are many organisations in Raglan that would like to donate given the opportunity and of course, we would like to provide a channel for them to do that. If you’re interested in becoming a member of our PTA group please do get in touch with: tara_wrigley@raglanarea.school.nz. If you’re part of an organisation that would like to donate some money then please do let us know either via our Contact us form. We trust that we always have your support and acknowledge that this can be varied. We do sincerely appreciate any amount of donation or help that you can provide.